The DJUSA All Stars will be all over NYC at venues including Cipriani 42nd Street, Celsius in Bryant Park, and Royal in NYC, & Moca Long Island! Log onto www.MyNewYearsEve.com for more details! DJUSA was a platinum sponsor at St. Mary’s first ever 5K Fall Classic Run/Walk in Rockland State Park on Saturday, November 16. St. Mary’s Indian Orthodox Church, located in Suffern, NY strives to make a difference in and around the communities in which members live, work, play, and worship. The congregation is comprised of over fifty families, many of them young adults and children. The Church plans events that allow its members to become positive, strong, and active members in the community. This year, St. Mary’s hosted the event to raise funds for the Leukemia & Lymphoma Society in support of cancer research. 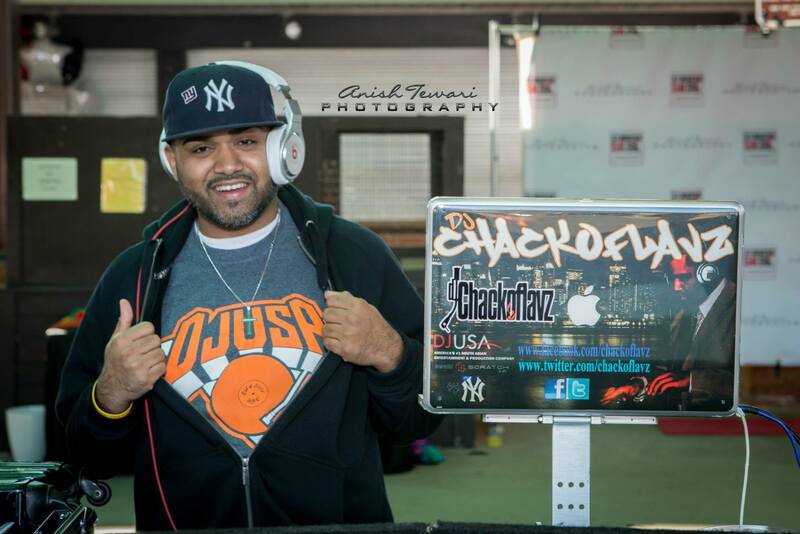 As part of DJUSA’s sponsorship, DJUSA provided the DJ and MC for the charity event. DJ Robby Chackoflavz rocked the crowd and MC Gino made all the announcements while helping with the team’s group stretching/warm up session in the morning. 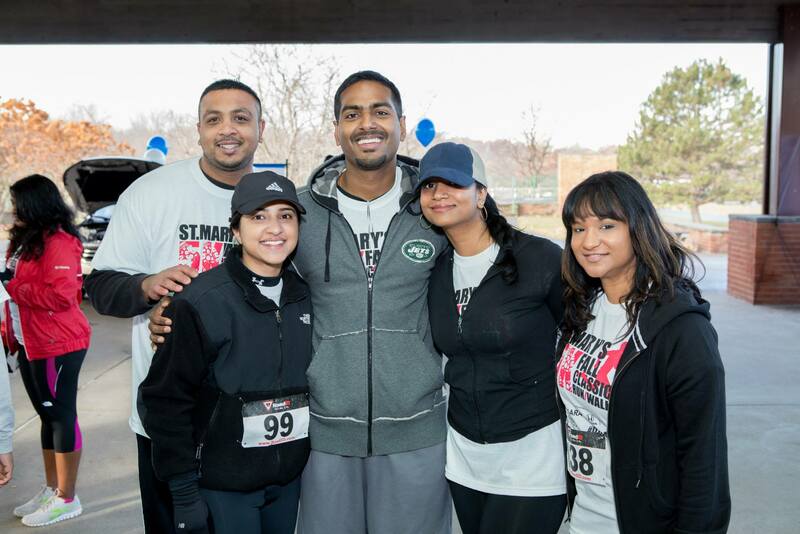 DJUSA was honored to be part of the St. Mary’s 5K Fall Classic Run/Walk 2013! Diwali also called the Festival of Lights is a holiday celebrated annually in the Fall. 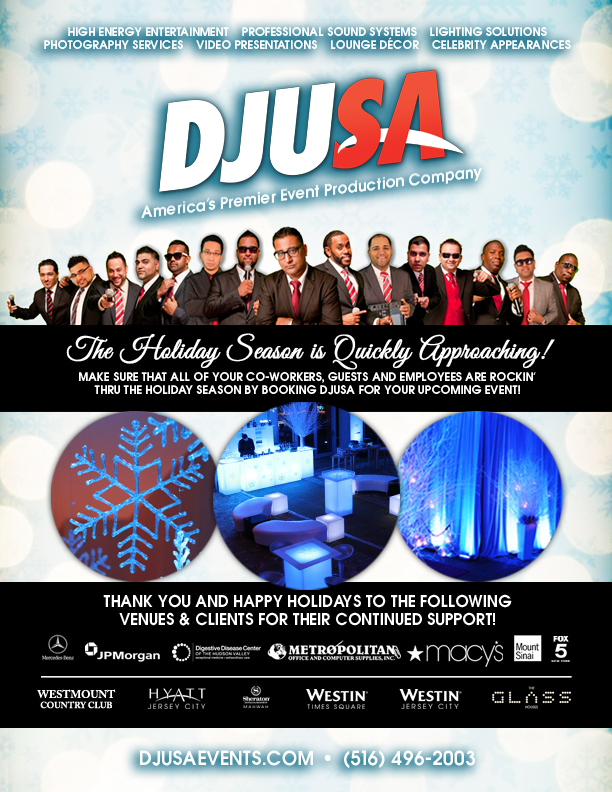 This year, DJUSA helped several organizations in their celebrations by providing a DJ with a full sound system. DJUSA was at Taj Lounge in NYC where the cultural groups of JPMorgan, Wells Fargo, NBC Universal, Thomson Reuters, KPMG, Alliance Bernstein, Oglivy, and others joined forces to host their own Festival of Lights event for employees. A week later DJUSA was doing it again for the holiday by providing DJ and lighting services for the India Association of Long Island at Akbar Restaurant in Garden City, NY. DJUSA was happy to ring in the Indian New Year 2013 with these organizations! The first week of November kept DJUSA busy with milestone birthday events. 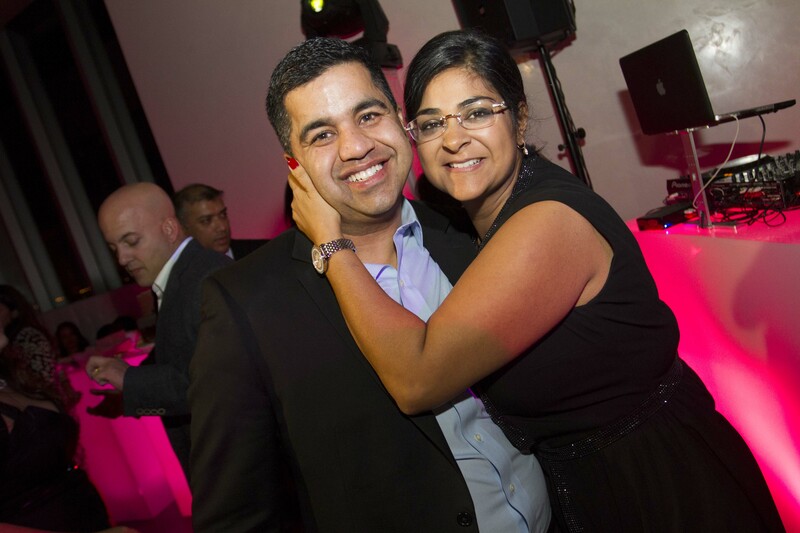 DJUSA worked closely with the client to plan a surprise 40th birthday for his wife that she will never forget. DJUSA provided full event production services including a top DJ, lighting, lounge, and a custom step at repeat at Glass Houses in NYC. Guests walked into the room greeted by DJUSA’s zap photographer who walked them down the red carpet where they took pictures in front of a custom step & repeat created by DJUSA. 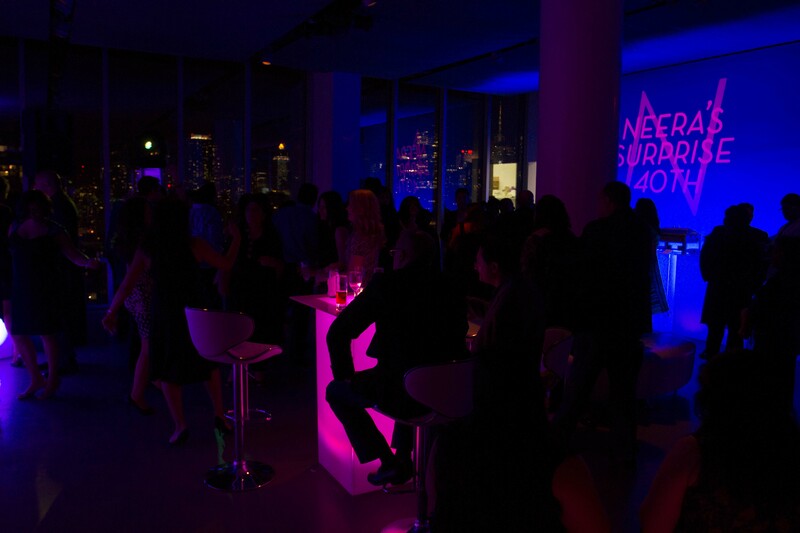 The plasma screens looped old pictures of the guest of honor with her family and friends, and a custom light was displayed with a custom 40th birthday logo also created by DJUSA. 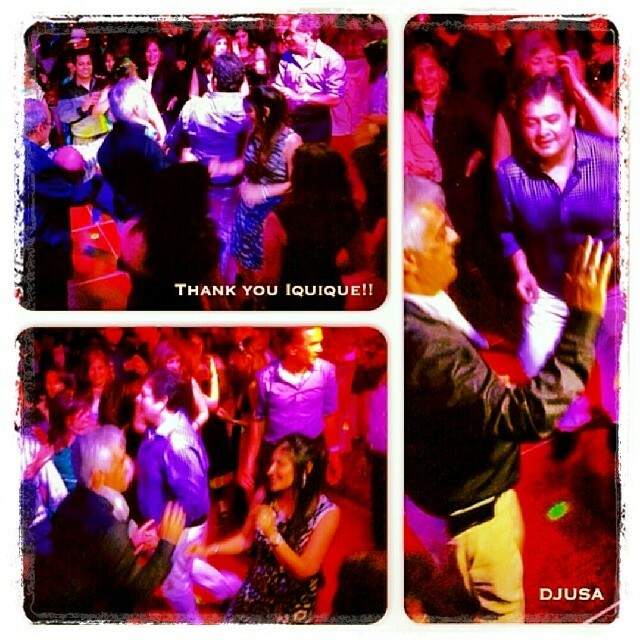 DJUSA rocked the night away with the hottest hits on the dance floor! DJUSA was honored to be a part of this couple’s 40th Birthday celebration earlier in November as well as her husband’s 40th Birthday celebration which she hired DJUSA two years ago! 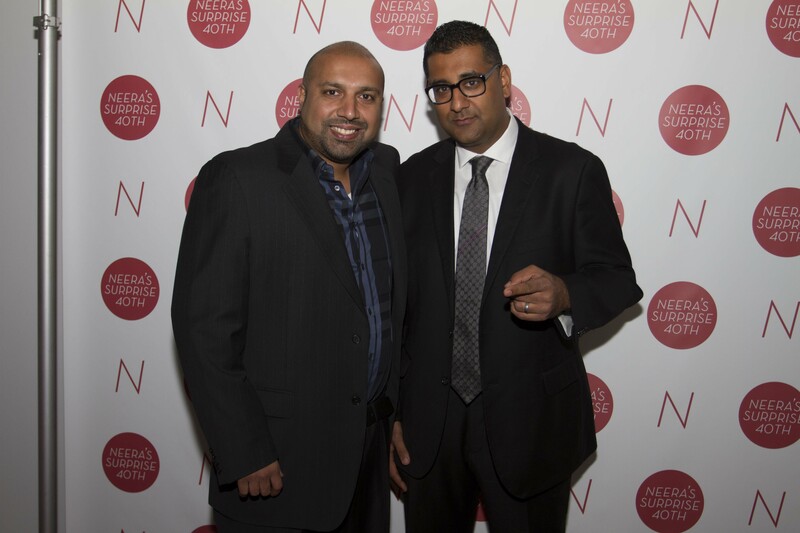 DJUSA’s very own DJ Rohit and MC Gino travelled to Chile to rock a private event in Chile. The event was a dual celebration for the Festival of Lights and the client’s 60th Birthday. DJ Rohit and MC Gino worked at the Hotel Manuel Rodrigues in Iquique, Chile. 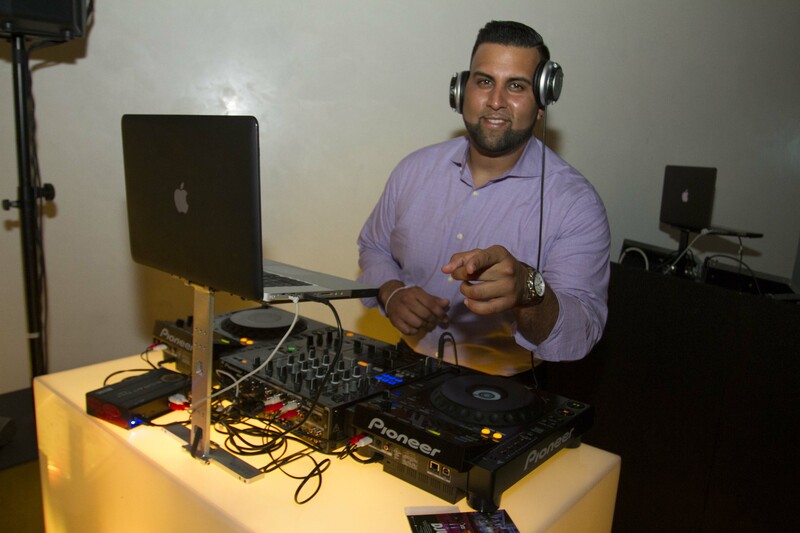 DJUSA partnered with a local sound rental company to make sure guests danced the night away! The client followed up days later and said “We had a blast having both [DJ Rohit & MC Gino] with us in our party, the major part of success of [the] party goes to you. Love you both.” This is the type of feedback from clients that keeps DJUSA at its best! 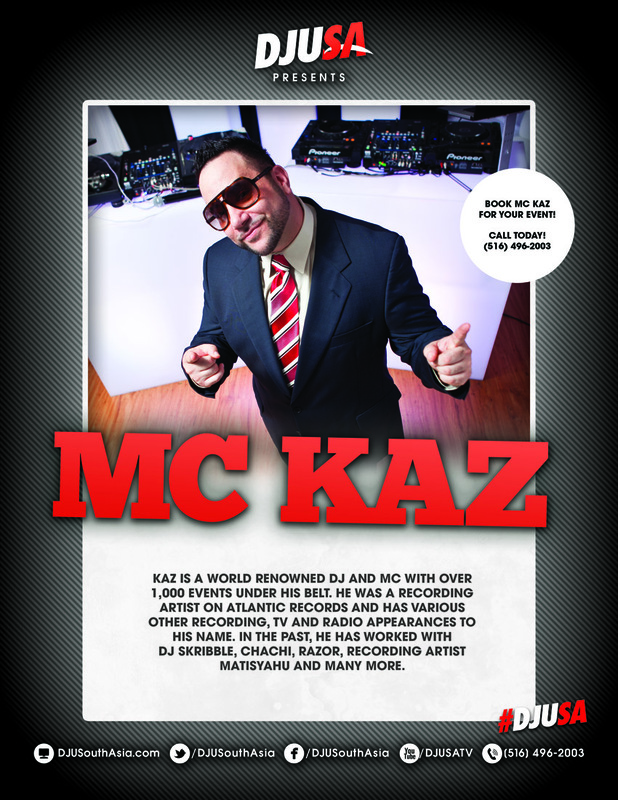 Kaz is a world renowned DJ and MC with over 1,000 events under his belt. He was a recording artist on Atlantic Records and has various other recording, TV and radio appearances to his name. 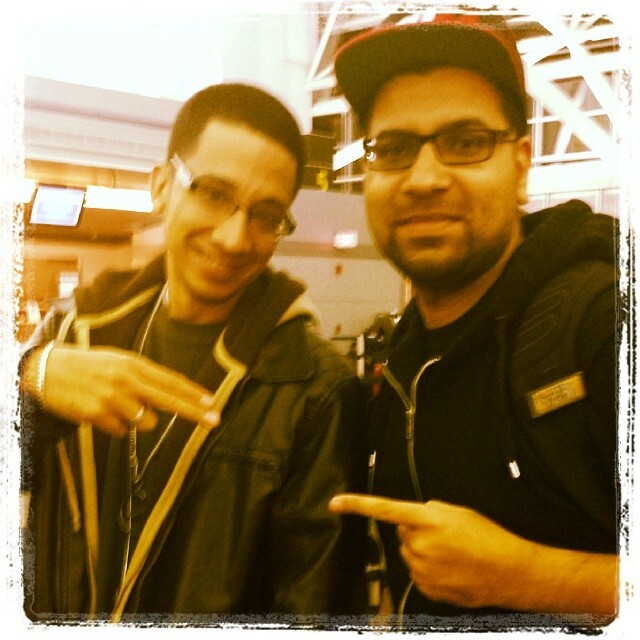 In the past, he has worked with DJ Skribble, Chachi, Razor, recording artist Matisyahu and many more. How did you get started and how long have you been in the entertainment industry? I got started back in 1992 when I was signed to Atlantic Records when I released my debut single, which did very well on the music charts in London. My single sold over 80,000 units in the US and overseas, and even charted higher than Michael Jackson! My whole family has been in the entertainment business; my two cousins were in big rap groups - The Young Black Teenagers where I formed a relationship with DJ Skribble and the underground rap group called Nonfiction. This is why I keep my roots in hip-hop although I enjoy all types of music. After my record was released in 1992, somebody approached me about doing DJing and MCing. I've been spinning since I was 16. I got involved and just loved it. 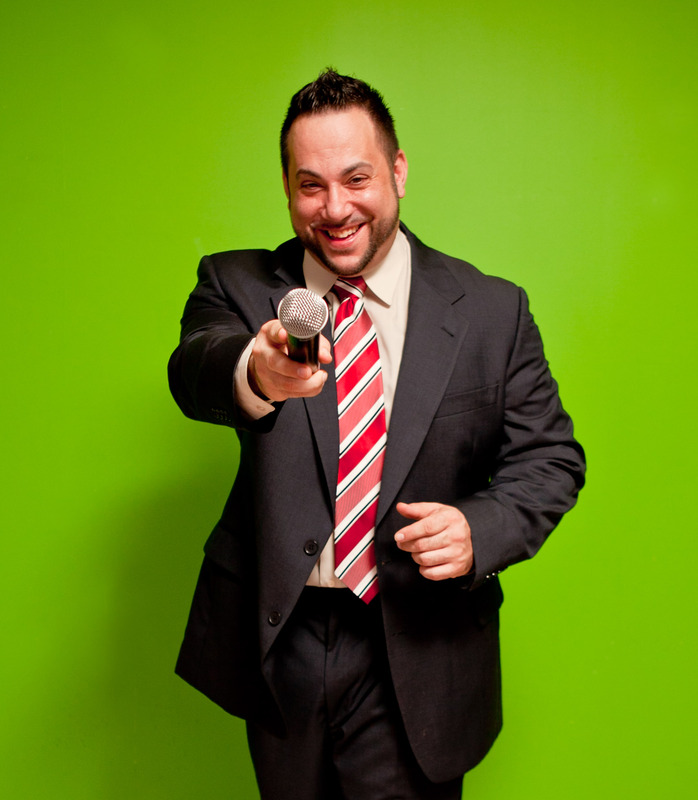 I’ve been doing it about 20 years professionally, and performed at over 1,000 weddings, Sweet 16s and more. You name the event type and I've done it! As I stated before I had released a rap record and always enjoyed being in the foreground of things. Back in the day, we were all one-man shows meaning that we were taught to DJ and MC simultaneouly. We went out there and rocked it alone. It wasn’t until later on in the industry that we started to see the DJ/MC split. I have love for both roles as a DJ and MC, but I progressed into wedding emceeing. I like being in the forefront because I enjoy seeing people's parties go well. I take pride in what I do. I'm very upbeat, funny, and real. People like when you are real with them and they can genuinely feel it. Since I have such an outgoing personality, being an MC definitely suits me. You DJ as well. Tell us more about your role as a DJ and how it helps you to be a better MC (and vice versa). I was a one-man show for very long time and I still do a one-man show now and again. It makes me appreciate both aspects of the game. Sometimes I don’t think people realize how important the DJ is for any event. The MC is the front man because he gets all the glory, all the hype, and really does keep the party moving. He’s critical in the interaction between guests, running the party, acting as a maître d', being a friend to the guests of honor. While that is an important job, people sometimes forget the importance of the DJ. The DJ is responsible for keeping the people on the floor the whole time. One bad call by the DJ could affect the party dramatically and clear the dance floor so the DJ’s part should not be forgotten. First and foremost, I really take pride in what I do. I strive to make each event as successful as I can because I do this full-time. My business is built upon referrals, so if I don't go out there and give everything I’ve got, people won’t refer me and I'm not going to book any events! 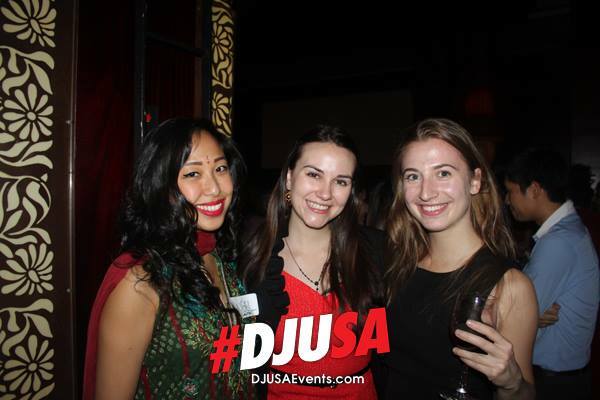 I’m very selective and very proud to be working for DJUSA. They’re one of the premier companies in the industry! I love my South Asian clientele because they rock like no others! 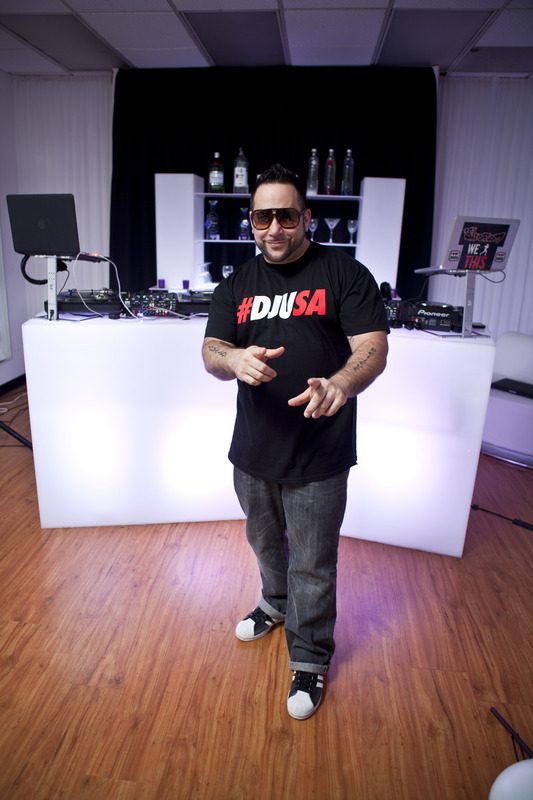 On the real, I joined DJUSA because the calibers of parties are incredible and the clientele are really appreciative. The clients are so appreciative of my skills and what I do for them. 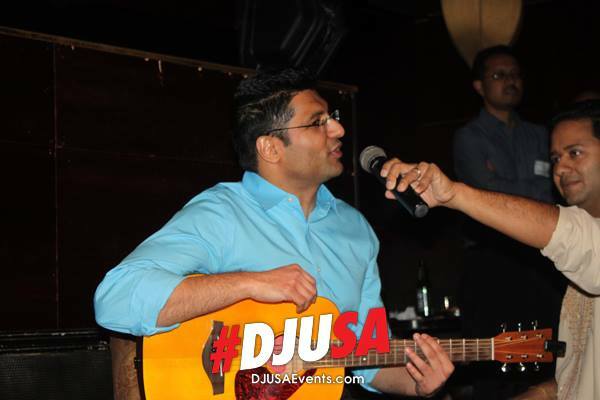 DJ Sharad has a great team at DJUSA. These are guys that have been in the game for a minute; they are the heavy hitters in the South Asian community so I do respect them. I respect DJ Sharad - he's a great businessman and entertainer. I have nothing but love him and the team.